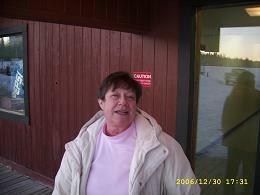 Cheryl Davis the operator of the Idle Thyme Restaurant in Traverse Bay is on her way to Munich Germany. She will be visiting Klaus and Fredrick there. Cheryl will be returning on April 8th. This is her third trip to Munich the last time she went she brought along some friends to go to Oktoberfest in October of 2007. For more information on this trip and to see what she did the last times she was there g to her website at: www.cheryl.eastern-beaches.mb.ca.